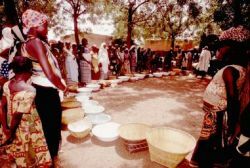 (June 2002) Efforts to address world hunger are not faring well. Progress since the World Food Conference in 1974 has been disappointing. Although the percentage of malnourished (underweight) children has declined, modestly, in most countries in the intervening 25 years, their numbers continue to rise. The data suggest an ongoing race between socioeconomic development and population growth, compounded by an increasingly vulnerable resource base and the fact that, more often than not, the fruits of development have yet to reach millions of people in a manner sufficient to overcome their caloric deficits. Policies and programs explicitly designed to reduce hunger have done so only marginally in most instances, implying that they have not adequately removed the underlying constraints causing hunger in the first place. Moreover, despite two major international meetings this decade, one on nutrition (ICN, Rome, 1992) and the other on hunger itself (World Food Summit, Rome, 1996), there are few grounds for confidence as we look ahead. What is the problem? And what can we do about it? This essay briefly examines hunger as a political issue and then focuses on two key operational problems: defining a hunger agenda, and the related problem of organizing to carry it out. The hunger dilemma is both conceptual and organizational, and it is not easily circumvented. The dilemma leaves hunger ill-targeted and hunger professionals often frustrated by the constraints they face in trying to erode the constraints to nutritional adequacy experienced by the hungry themselves. One might think that hunger would be an easy issue for governments, international agencies, and even universities to embrace. Nobody actually favors the existence of hunger, except occasionally as a weapon of war. Most would agree that hunger is undesirable and that its prevalence in the world connotes something wrong that should be addressed. And, indeed, leaders as diverse as Lenin, Franklin Roosevelt, and Ferdinand Marcos have exploited the rhetorical appeal of hunger as an issue, confident that it symbolizes what they oppose and that their people’s ethical, humanitarian, and political beliefs will reward them for pledging to rectify the situation. Moreover, hunger’s political appeal has been strengthened by evidence that protein-energy malnutrition (PEM), the essence of hunger (see Box 1), constrains human competence, productivity, and potential, making it a legitimate issue in development, as well. Hunger, it would seem, has all the advantages of being “big,” non-contentious, politically appealing, and– for the development community– professionally respectable, even compelling. Unfortunately, the hunger issue contains several liabilities that have proven to be problematic. Endemic hunger is mostly invisible; its victims are typically peripheral and voiceless; and, rhetoric notwithstanding, political salience is usually low. Moreover, hunger advocates labor in a cluttered policy environment. Most of them have few links to the people for whom they advocate, and their lofty appeals are seldom matched by political mobilization and demands by the hungry on their own behalf. The hard fact of the matter is that hunger policies are seldom seen as a collective good. They tend to be divisible, even redistributive in their benefits, and hence contentious in nature, especially when it comes to actual resource allocation. Consensus that hunger is unfortunate does not mean commitment to eradicate it, while commitment does not imply agreement on how best to do so. Easy to embrace, hunger is also easy to abandon (“we’ll get to it after…”) or distort (“developing the economy/stimulating agricultural production will alleviate the problem”). Hunger specialists and their allies concerned with social development function in uncertain and unstable terrain laden with obstacles. And that is before they have even started to act. Governments have long had difficulty organizing to alleviate hunger. Some have tried interministerial units charged with overseeing and, at times, coordinating the agendas of different ministries. These have typically foundered on the operational autonomy of line ministries and their resistance to being subordinated and coordinated. 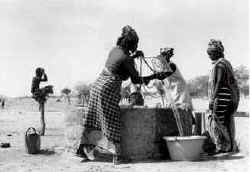 Other governments have given responsibility for “nutrition” to specific ministries, especially health, in effect squeezing a multisectoral problem into a single sector while trusting, perhaps, that “hunger” will eventually be ameliorated by the country’s overall development policies. The designated ministries often do not know what to do with malnutrition, leaving it to nutritionists who rarely are central players in the ministry’s arena. Not infrequently nutrition agendas collide with broader ministry priorities and are similarly marginalized. 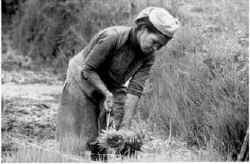 Meanwhile, the overall development policies being pursued may have little immediate relevance to reducing hunger and in some instances– such as promoting bimodal agricultural systems with a favored commercial sector and a largely neglected subsistence sector– may actually, if unintentionally, intensify hunger. There is some confusion in the use of the terms hunger and malnutrition. How do they relate? This essay equates, the emotive word “hunger” with protein-energy malnutrition (PEM), including but not limited to famine, while excluding micronutrient deficiencies such as in iron, iodine, and Vitamin A, even when these are derived from underlying deficits in proteins and calories. PEM is a more empirically defined concept than hunger, and it helps the latter to be better understood technically. An important corollary to thinking of hunger as PEM is that it gives hunger a health dimension that otherwise might elude recognition. improve food availability and access but is notably inattentive to nutritional outcomesand to their health-related determinants. International agencies have encountered difficulties of their own in determining how best to organize their hunger agendas. USAID has eliminated its Office of Nutrition, absorbing it into a new office of population, health and nutrition. The name of this office clearly expresses the lessened priority given nutrition, with funding allocations being even more skewed. Moreover, attention to protein-energy malnutrition has receded in favor of the micronutrient deficiencies, ostensibly because the latter are more health related. The result is a limited, even parochial response to PEM, one that– all too often– is divorced from mainstream economic development. Similarly, The World Bank has incorporated its Nutrition Unit into a larger entity, the Human Development Department. The Nutrition Section at UNICEF carries on but has largely abandoned protein-energy malnutrition in favor of initiatives on the micronutrients plus breastfeeding. PEM is now pretty much the responsibility of the Health Section, which has numerous other concerns, as well. The tendency to define protein-energy malnutrition as primarily a health issue and to organize policy responses to it under a health rubric is a mixed blessing. The tendency may seem bizarre when the referent is “hunger.” Yet PEM has a strong health component shaped by the body’s failure to derive full benefit from nutrients consumed because of infectious disease, parasitic infestation, and other health states. Whereas “hunger” implies consumption deficits only, nutritional status a` la PEM is understood to reflect the interplay of consumption and morbidity. That said, health interventions alone are clearly an insufficient response to PEM. UNICEF (and WHO) correctly point out that other UN agencies– FAO, WFP, and UNDP especially– come at the problem in appropriate ways that are complementary to their own approaches in the sense both of going beyond health and– in the case of UNICEF– of addressing macro as well as micro (community) conditions. In effect, comprehensiveness in the UN system is achieved by means of organizational and programmatic fragmentation, whereas at USAID and the World Bank, nutrition initiatives are largely confined to the delivery of services, often through health infrastructures, a pattern found in most governments, as well. Universities, in principle organized to advance our understanding of the world, have had difficulty doing so in the case of hunger. Most have not even tried, but those that have have had rather sobering experiences. The Massachusetts Institute of Technology created and then dismantled its pathbreaking International Nutrition Planning Program in the 1970s. Among the underlying reasons were misgivings about the intellectual rigor of such an interdisciplinary program and rejection of its service, as opposed to scholarly, role. (Early efforts at Meharry Medical College, the Harvard School of Public Health, and the University of California at Berkeley also came to nothing). More recently, Stanford has abolished its Food Research Institute, largely because the Economics Department regarded it as redundant and inferior. Brown University has essentially eliminated its World Hunger Program, the demise of this highly visible program being camouflaged by absorption into the Watson Institute for International Affairs. (Leadership change and loss of core funding were also involved). Tufts University and Cornell University have both struggled with organizing their nutrition programs; in each case, organizing around an issue (hunger/malnutrition) has eroded in preference to organizing around a discipline (nutrition science), while at Tufts international nutrition has also had to share its central role with the emergence of other social science programs that look financially more promising. In the United Kingdom, both the Food Studies Group at Oxford and its counterpart at the Institute for Development Studies at Sussex have been obliged to recast themselves as consulting groups in order to survive as academic programs. Indeed, the major exception to this litany of institutional woe is IFPRI, the International Food Policy Research Institute in Washington, which– tellingly– is not a university. Why are hunger-oriented institutions and programs in such eclipse? In the case of universities, the answers center on funding, jealousies, and confusion concerning mandates, organizational structure, and organizing principles: the role of interdisciplinary programs in institutions organized primarily around disciplines, and an issue focus as against a disciplinary one (see Box 2). For governments and international agencies, the dilemma is how to organize and manage the action agenda for hunger. Locating a hunger-oriented agenda in a School of Nutrition Science and Policy (such as Tufts) or a Division of Nutritional Sciences (such as Cornell) produces an inevitable tension between social and biomedical scientists. Social scientists dealing with hunger treat “nutrition” as a dependent variable to be analyzed in relation to a wide range of economic, sociocultural and political conditions which are the primary focus. For them nutrition is an outcome or marker. Biomedical scientists are more likely to study nutrition itself as a set of independent, as well as dependent, variables. Moreover, their arena tends to be the laboratory and their focus to be micro, even cellular, rather than macro/societal. When hunger-oriented economists, political scientists, anthropologists, agriculturalists, and public health professionals are organized together with nutritional biochemists and physiologists on the assumption that they are all much the same or at least are equally devoted to “nutrition”, the result is a clash of intellectual cultures that would do C.P. Snow proud and, in effect, a power struggle induced by forced association.Hunger people are unlikely to win such struggles when “nutrition” is the organizing principle. My personal opinion is that this is a counterproductive way of organizing hunger studies in a university. I also believe that, in the policy realm, “nutrition” is the wrong organizing principle for “hunger” because nutritionists have little to offer in the effort to combat protein-energy malnutrition yet claim centrality in that effort by virtue of the nutrition label. spent seeing to removal of the root causes of malnutrition. It may well be that the proprietary claims of nutrition advocates also give some governments an easy escape from having to address hunger in a more serious, yet costly, and conflictual, way. Ironically, the current preoccupation with micronutrient deficiencies in the nutrition community, which comes at the expense of protein-energy malnutrition, actually makes sense from this perspective because it matches nutritionists with nutritional problems for which their expertise is critical. This is a difficult task. In addition to its political problems noted above, hunger poses operational problems by virtue of its being a complex issue, and one that is also structural and derived. Like “poverty” and “development,” “hunger” is a big issue for which no single, onedimensional response will suffice. This leaves hunger policy open-ended and hence subject to controversy even within the development community, where focal concerns vary, paradigms and priorities compete, mandates differ, and actors with compatible, even similar, goals find it necessary to vie with one another for scarce resources. Moreover, hunger is a state of being produced by other conditions while being embedded in them; and these conditions range from the specific (soils, technologies) to the intermediate (markets, income) to the broad (poverty, political economy). Hunger is so multifaceted in its causality and context that it is not obvious how best to respond to it. The context is every country in the world, and the causality involves everything from agriculture, to international trade, to the internal and external political dynamics of countries. It is not obvious whether to organize policy to alleviate hunger as a specific goal or to pursue more discrete goals in agriculture, health, and development at large with the expectation that success in these other areas will alleviate hunger as a happy byproduct. If the decision is to make hunger a focal concern, a breakthrough that hunger advocates would applaud, there is still the question of how comprehensive vs. specific the policy response should be. Specific hunger policies (improving agricultural yields, reducing post-harvest losses, feeding people in need) have the advantage of directness (do this, get that), in theory at least, and the likely disadvantage of being insufficient to materially change the hunger outcome given other constraints not adequately addressed. Comprehensive (“multisectoral”) approaches have the advantage of being comprehensive and the disadvantage of requiring political and administrative centrality. Not only must a comprehensive strategy to alleviate hunger be reconciled with other concerns (industrial development, for example) that seek similar, if not greater, centrality; like any long-term strategy, it must survive the corroding influence of short-term claims that cannot be ignored (higher wages for the civil service or new military hardware, for example). Getting a comprehensive plan approved is difficult if the plan is to be authoritative; keeping it intact and on track over time even more so. Moreover, a comprehensive strategy has to be disaggregated into operational components; and these can easily lose linkage, conceptually and in practice, with one another and with hunger itself as other purposes (export promotion, cheap food for urban centers, political patronage) crystallize. When political leaders and ministries end up disagreeing about specific policies and the priorities among them, the fragile consensus informing a comprehensive strategy easily fragments into autonomous components that become ill-connected and even competitive. This, in effect, is the problem of reconciling big issues of enormous complexity with segmented structures and mandates; and it mirrors over and over again the rational-comprehensive vs. incremental-adaptive approach to decision making assessed in the literature on public administration wherein the intellectual appeal of being comprehensive is thwarted by its operational cumbersomeness. intellectual– capable of making policy judgments on a wide range of subject matter, has yielded — in the United States, in particular– to modes of training and forms of expertise that are highly specialized. With the explosion of knowledge unleashed by modern scientific inquiry, in tandem with the social spread of educational opportunity, has come the compartmentalization of knowledge. The essence of most scholarship is to learn more and more about less and less. Scholarship has become an industry, with knowledge “exploding” because of the numbers engaged in research. However, as knowledge has expanded, expertise has narrowed. So, too, in the realm of policy and action. As issues– perceived problems, needs, opportunities– have expanded, organizations to deal with them, public and private, have become more numerous, larger and more complex. Similarly, the proliferation of organization has created capabilities previously unknown. Yet as capabilities have increased, competencies have narrowed. The expansion of organization and of tasks to be performed has necessitated structural differentiation and functional specification. Bureaucracies grow as their responsibilities increase, but this growth is accompanied by segmentation of responsibility. Just as the expansion of knowledge results in its compartmentalization, so the applications of knowledge result in organizational differentiation. Appeals for coordination, even integration, of administrative action speak to the extent to which these values have been compromised in practice. Often they are also asking more than highly differentiated structures with tightly defined mandates are able (and willing) to provide. Interministerial and inter-agency coordination, repeatedly invoked as administrative virtues, usually become an operational curse for this very reason, as the values of autonomy and control override those of subordination, shared responsibility, and mutual dependency. Seen in this light, a big issue like hunger collides with our intellectual and organizational disposition to small solutions that are easier to allocate, organize, and manage. Technical assistance, with its emphasis on specific types of expertise, reinforces this tendency to disaggregate. Notwithstanding the logic of parceling out specific components of the hunger agenda to largely autonomous units of decision and action, doing so has been at a cost to policy coherence, effectiveness, and reinforcement. Consequently, there is a counter-tendency toward integration of effort, and this entails incorporating hunger/nutrition agendas into more comprehensive units, as at USAID and the Bank. The result is a trade-off. Organizational reform tries to balance the benefits of issue specificity, visibility, autonomy, and clout with the benefits of incorporation, integration, reinforcement, and possible protection from adversaries. Hunger lends itself to the latter approach because it is a derivative issue that reflects other things. One can isolate hunger, or “nutrition,” and give it organizational expression of its own; but in large administrative systems this invites conflict over agendas and control, and it also disposes to isolation and impotence. To illustrate, USAID’s Office of Nutrition, for many years an innovator and catalyst for raising visibility and concern for protein-energy malnutrition, nevertheless confined itself (or was confined) to programs directly targeted to the already malnourished or those nutritionally at risk. The Office of Nutrition was empowered to develop nutrition interventions but not to address the underlying causes of malnutrition. It dealt with manifestations and sought to treat them in laser beam fashion– food supplements, education, social marketing, etc. ; it did not deal with poverty and the multiple objective conditions disposing to malnutrition. Hence, it addressed symptoms, not contexts; and it sought to help the malnourished and those at risk, not to change the conditions outside their control that constrained them. All of that, ostensibly, was someone else’s responsibility. By dealing with manifestations and offering only palliation (“nutritional aspirin” if you will), the Office of Nutrition was not really a development agency at all (except insofar as malnutrition itself constrains the development potential of its victims, a prominent argument at the time). One wonders whether incorporating the Office of Nutrition into the Office of Population, Health and Nutrition was intended to bring “nutrition” more into the development mainstream and to encourage a broader and deeper approach to alleviating malnutrition. If so, the record to date is not very encouraging . Of the 66 separate projects currently being funded by the Office of Population, Health, and Nutrition, only one, the FANTA project, can be said to address malnutrition as a significant, but by no means exclusive, part of its mandate. Similarly, food aid’s relationship to hunger alleviation– now called “household food security”– continues to be more rhetorical than real. This is true in part because other goals have taken precedence (such as “human capacity development,” i.e. education) and in part because documenting nutritional improvement in food aid supported projects has proven to be so difficult (thereby producing other justifications such as providing incentives to attend health clinics and schools). Clearly, linking hunger to other agendas runs the risk of its being lost as a focal concern and otherwise marginalized in the inevitable array of other objectives. In sum, it is difficult for agencies to capture and organize something so multifaceted as hunger. Expertise is more narrowly defined, methodologies and technologies are usually more issue and context specific, and institutional jurisdictions are more focused and compartmentalized. Put another way, hunger overwhelms organized efforts to respond to it. In turn, hunger policy tends to be buffeted by alternative dispositions– disaggregation and integration, autonomy and incorporation– and to suffer the indignities of bouncing around administrative systems when it is not lost in some corner. Managing the hunger agenda is a taxing and often frustrating enterprise as a result. Although no one is to blame for this state of affairs, there is no easy way out of the dilemma of organizing hunger. Hunger is being alleviated in spite of these (and other) impediments (see Box 3). The record is spotty, however; and the hunger community has, on balance, been of only marginal significance to the gains made. Four overlapping conditions appear to be the decisive factors. Ignore hunger as a focal concern, perhaps trusting that policies pursued for other reasons will impact favorably on it. Respond to hunger with a few discrete interventions, such as child feeding, that are basically stand-alone initiatives. Make hunger one of several organizing principles around which a broader policy is defined and organized. Make the alleviation of hunger the overriding principle and core objective of development policy, subordinating other policies (e.g., export promotion) to it. Incorporate hunger into a still broader agenda such as Basic Human Needs/Human Development informing an overall development strategy. These options would appear to be levels on a continuum signifying seriousness of purpose; yet as levels they do not necessarily imply effectiveness of results. My own sense is that levels 3 and 4 do not exist in fact, even though rhetoric might suggest otherwise. Explicit hunger policy tends to bifurcate between levels 2 (where it is often defined as “nutrition” policy) and 5 (where, ironically, it may not be defined at all). Between the two, most programmatic effort against hunger may be found at level 2, whereas the greatest success in reducing hunger and even eliminating it is the distinctive achievement of level 5. (That, at any rate, is the impression conveyed by the development experience of Thailand, Costa Rica, Kerala, Sri Lanka, and perhaps China and Cuba as well as of Korea, Taiwan, and Chile). Sadly, most development in the modern era is concentrated in level 1, as was the development experience of most Western countries, where hunger carried a badge of social stigma and responsibility for dealing with it was left to private charity. Second, when a protracted rural based revolution results in a major reallocation of resources toward the poor majority (China, Cuba for a time, Iran, perhaps Zimbabwe). Third, when a competitive political process emerges, giving populist influence to smallholder agriculture and other rural and lower status groups (Chile, Costa Rica, Sri Lanka, the Indian state of Kerala). Fourth, when political elites forge a social contract with their populations exchanging supports– health, education, employment, subsidized food, etc.– for loyalty (the Thai military, the Baath government in Iraq prior to the invasion of Kuwait and the Gulf War, and Kuwait itself). What stands out here is the primacy of political conditions, the secondary role of economic variables, and the tertiary role– at best– of the applied technical expertise of hunger specialists. Like nutrition planners of the 1970s, those concerned with hunger today often labor where conditions are least favorable for success. It remains to be seen whether, in time, hunger specialists are able to break through the many constraints facing them. The odds are likely to be shaped powerfully by the political environment. Field is Emeritus Professor of World Hunger and International Development, School of Nutrition Science and Policy, Tufts University. He is the author of numerous books and articles, including The Challenge of Famine: Recent Experience; Lessons Learned. 1973. Kumarian Press.